Today Tapanappa is wholly owned and run by the Croser family of the Piccadilly Valley in South Australia's Adelaide Hills. To utilise three of Australia’s most expressive and unique distinguished sites to create fine wines of distinction. The Foggy Hill Vineyard planted with Pinot Noir on the Fleurieu Peninsula in 2003. Since 2002, the Croser family have invested significantly in the refinement of the viticulture of these three distinguished sites. The old vines at the Tiers and Whalebone vineyards have been restructured and re-trellised. New vineyards have been planted with superior clones on rootstocks at very close spacing at both the Tiers and Whalebone vineyards. The Croser family have also pioneered a new wine region at Parawa on the Fleurieu Peninsula by planting Dijon clones of Pinot Noir on rootstocks at the close spaced Foggy Hill Vineyard . These vineyard investments are consistent with Brian's belief that Australia cannot compete with the best of the fine wines of Europe and North America without significant further investment in the improvement of vineyards aimed at improved grape and wine quality. Tapanappa is unique in Australian viticulture, having new vineyards planted to the traditional European formula of close spacing (1.5 meters X 1.5 meters) with the vines only 0.5 meters above the soil surface and in all three regions. In June 2014 the Croser family reached agreement with Bollinger and the Cazes family that Tapanappa’s future as a fine wine company would be optimised when wholly owned by the Croser family. Changing markets and economic times, the increasing involvement in Tapanappa of Croser family members, and its reliance on Croser family vineyard assets made this all but inevitable. The terroir driven purpose of Tapanappa has been focussed and strengthened by the involvement of Bollinger and the Cazes family from 2002 until 2014 and they remain firm friends of Tapanappa and the Croser family, and remain as importers of Tapanappa in key markets. This moment of change for Tapanappa was given impetus by the return of the Petaluma winery to the Croser family in December 2014, Reborn as the Tapanappa Winery and giving Tapanappa a home address at The Tiers Vineyard, 15 Spring Gully Road, Piccadilly. We have our winery back. To maximise the quality of the wines from these three distinguished site vineyards, regardless of cost, that also implies producing only the tiny amounts of wine available from each vineyard. Today Tapanappa is managed by Xavier Bizot and his wife Lucy Croser, another Croser son-in-law, Sam Barlow looks after the winery facility, IT and cellar door. Tapanappa’s portfolio of wines is distributed in Australia by Terroir Selections, which was founded and is operated by Xavier and Lucy. Tapanappa has evolved into a family fine wine company from vineyard to market. In late 2001 Petaluma, the company Ann and Brian founded in 1976 was taken over by Lion Nathan. That event ended the 30-year Croser family ownership involvement in fine wine production but only temporarily. Even as the ink was drying on the Petaluma purchase, friends and partners for 17 years in Petaluma, Champagne Bollinger made a pact with the Croser family to begin again. Then along came the Cazes family from Chateau Lynch Bages in Pauillac, Bordeaux. On a trip to Australia in 2002, Jean-Michel and his son Jean-Charles met with Brian and quickly agreed to join the partnership. Brian's long held ambition to own and make wine from the more than 30-year old Koppamurra Vineyard just north of Coonawarra became the ambition of the partnership. Tapanappa was born and purchased Koppamurra Vineyard in late 2002. The vineyard has since been renamed the Whalebone Vineyard for reasons that are explained elsewhere on this site. The partnership named its new venture “Tapanappa” after a 550 million year old geological formation that underlies the Fleurieu Peninsula where the Croser family have a sheep farm and vineyard. 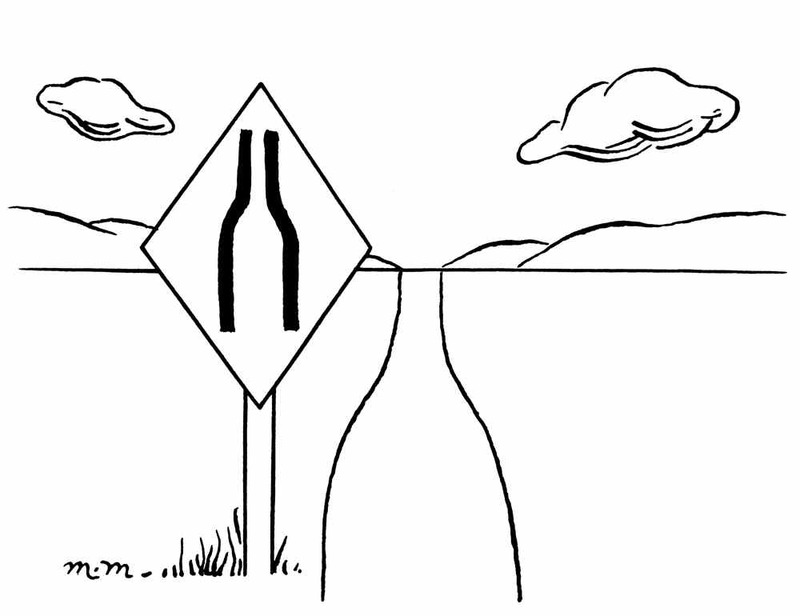 The word Tapanappa is probably derived from the local aboriginal language, and likely translates to “stick to the path”. This is exactly what this partnership intends to do, by continuing Brian’s career-long mission of selecting distinguished sites. Matching the climate, soil and geology of the site to the right varieties, and fastidiously managing the vineyard to maximise quality and produce unique Australian “terroir” driven wines. Brian Croser has been an innovator in the Australian wine industry for 40 years now. Educated at the University of Adelaide, of which he was Deputy Chancellor for 8 years, and at the University of California at Davis, Brian was involved in the establishment of the Charles Sturt Wine Science degree in Wagga Wagga and in the establishment of most of the existing Australian wine industry institutions through the 1970’s and 80’s. Brian and Ann Croser began Petaluma in 1976, which is recognised as Australia’s leading exponent of terroir driven wines. Brian exactingly matched varieties to regions and meticulously managed the vines in Petaluma’s “distinguished site” vineyards in Clare, the Adelaide Hills and at Coonawarra for 27 years. Brian pioneered the development of the Adelaide Hills viticultural region, planting Chardonnay and Pinot Noir and establishing the Petaluma winery in the Piccadilly Valley from 1978 and Shiraz and Viognier at Mt Barker from the early 90’s. In the mid 80’s the purchase and renovation of the historic Bridgewater Mill provided a home for Croser, the eponymous premium sparkling wine made from fruit from the Piccadilly Valley, first released in 1987. The Croser family owns the original vineyard of the modern Adelaide Hills wine industry, the Tiers Vineyard, an Australian Chardonnay distinguished site now being progressively replanted on very close spacing with new Chardonnay clones on rootstocks. With Rollin Soles, Brian established Argyle winery in Oregon in 1985 and the Croser family are currently establishing Tunkalilla Vineyard, a Riesling and Pinot Noir vineyard in the Eola Hills just north of Salem in Oregon. Committed to the research and development of new “distinguished sites” for specific varieties, Brian and his family have developed a Pinot Noir Vineyard at the cool, foggy apex of the Fleurieu Peninsula at Parawa, 300 meters above and just 8 kilometres north of the Great Southern Ocean. Tapanappa is the next step of the evolution of Brian's lifelong mission to nurture the most expressive and unique terroirs of Australia. 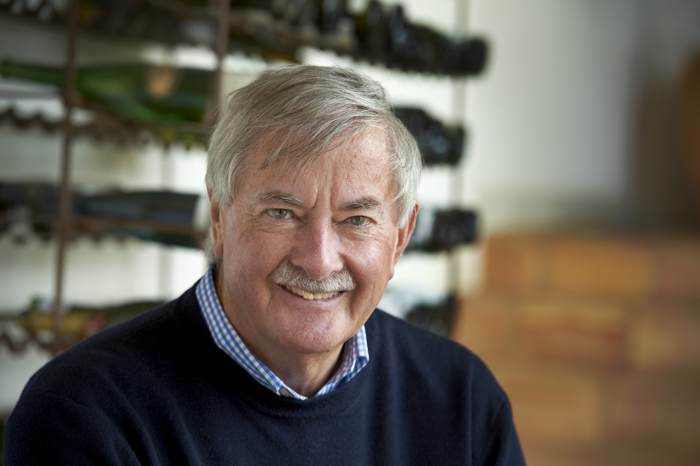 Brian Croser has been made an Officer of the Order of Australia for his contribution to research and education and for service to the Australian wine industry. He has been the President of the Winemakers Federation of Australia, a founding board member of the Australian Grape and Wine Authority, the Chairman of Adelaide, Sydney and Canberra (The National) wine shows and has received numerous awards for service to the Australian wine industry including the prestigious Maurice O’Shea award, an Honorary Doctorate from Charles Sturt University and a Doctor of the University of Adelaide in July of 2007. In 2004 Brian was made Man of the Year by Decanter magazine. Terroir is a French word that describes the unique characteristics of a vineyard site that in turn impart consistent and unique qualities to the wine made from that vineyard. The role of man, tradition and culture in terroir is a much-debated topic but in my plain or vanilla version, man chooses the variety to match the climate and employs the appropriate viticultural practice to allow the best expression of the site. Terroir describes the environmental inputs of the site, namely the geology, soil, aspect and climate. 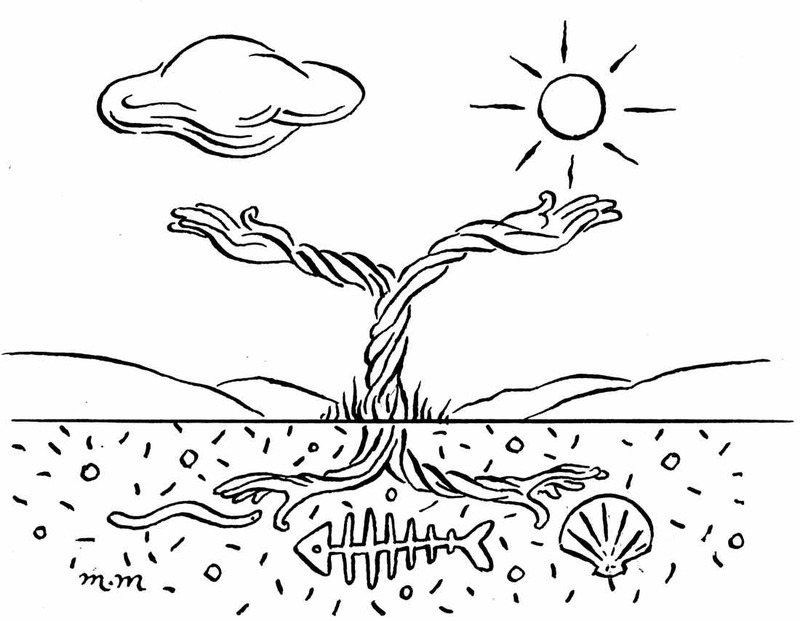 The geology and soil of a site determine the size of the vine and its crop (vine capacity) and the balance of vine growth (vine vigour) and the climate decides what varieties should be grown and the style of wine made. These roles of the atmospheric (climatic) and edaphic (soil) components of terroir do overlap so climate does have some influence on the size of vine and its vigour. Equally soil and geology do have an influence on the choice of varieties and wine style, but the generalisation of the dominant role of soil on plant capacity and vigour, and of climate on the choice of varieties, holds.